Spend a week at camp doing the things you love most. As a group you will decide and plan out many of the camp activities throughout the week. You will have the opportunity to go climbing, boating, camping, do target sports and experience the great outdoors. Test your strength, strategy, and skill as you focus on a challenging high element each day. Learn and develop climbing skills, belay techniques, knot tying and climbing safety. Spend a day at Taylors Falls rock-climbing in the bluffs of the St. Croix River. Fine tune your archery skills and learn new ones. Archery games will help you discover the science behind drawing and releasing the bow. Learn and practice slingshots and hatchet throwing to develop your target sport skills. Instructors will show you proper grip, stance and aim alignment. Receive a lesson from the pros at A1 Archery in Hudson, WI. Equipment will be provided. Embark on a canoeing/kayaking excursion full of adventure. 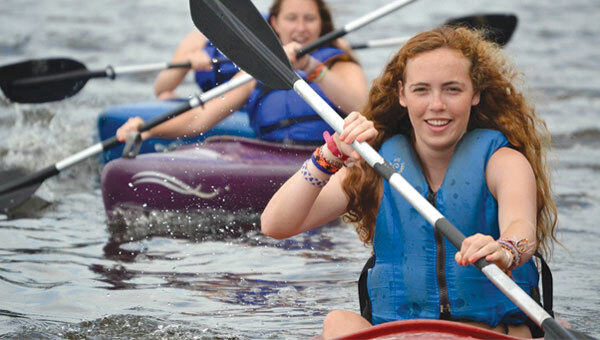 Develop your paddling skills and learn boating safety as you experience the challenge of navigating the water! Develop your camping skills as you work together to set up camp in the remote campsites at St. Croix. Learn a variety of useful camping skills that including: building a fire, shelter building, knot tying, campfire cooking, navigating maps and more! Receive daily ground and water instruction in basic sailing skills and techniques, as well as boat maintenance and care. Time is spent learning skills such as rigging, jibbing, tacking, knot tying, water safety, and river etiquette. You will operate our fleet of sailboats on Lake St. Croix. Get hooked on fishing as you learn basic fishing skills. The St. Croix River provides the scene for fishing fun using the catch-and-release method. You are encouraged to bring your own pole and tackle if you wish but equipment is available for use as well. 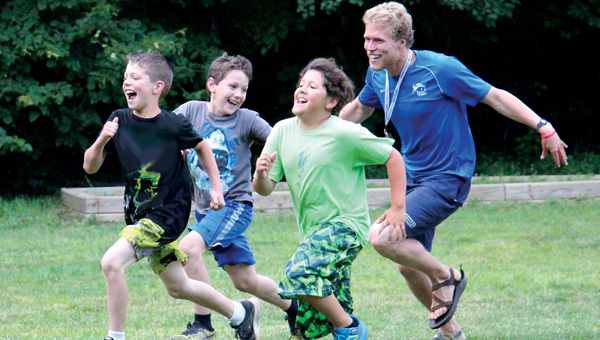 Grow as a leader as you help counselors facilitate camp programs. CLC is designed to build community and provide mentoring and character development. Skills learned are transferrable to camp and non-camp jobs. Preferred qualifications: Completion of Leaders-In-Training or similar leadership program.